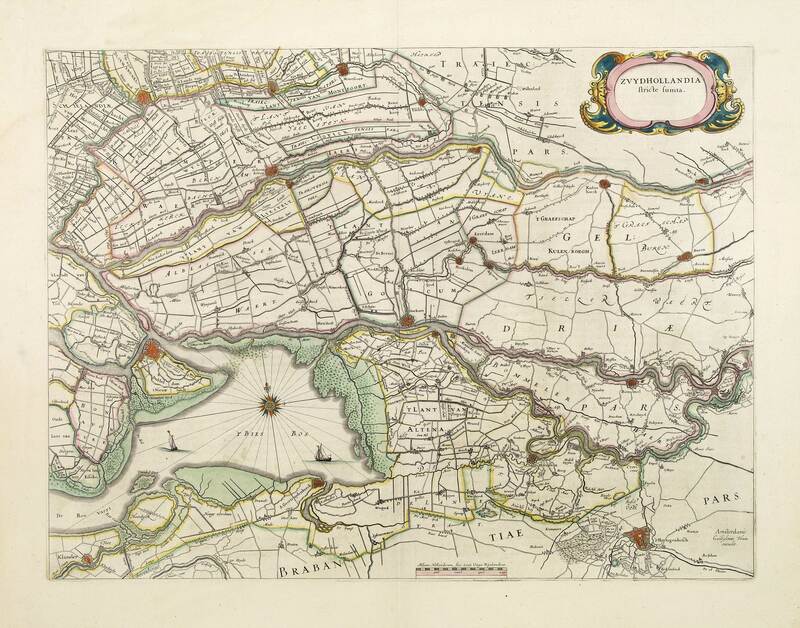 BLAEU - Zuydhollandia stricte sumta. BLAEU, W. - Zuydhollandia stricte sumta. Zuydhollandia stricte sumta. - BLAEU, W.
Title : Zuydhollandia stricte sumta.. Size : 15.0 x 20.0 inches. / 38.2 x 50.9 cm. Description :The count ship of Holland was subdivided into a number of bailiwicks. The most southerly bailiwick, bordering on Brabant was named Zuid-Holland. Many floods changed the appearance of this part of Holland. Condition : In good condition. Dark impression.